The Board of Zoning Appeals (BZA) members are appointed by the Circuit Court and serve five year terms; one member also serves as a member of the Planning Commission. The BZA is a quasi-judicial board and has the following powers: to hear and decide appeals to the determination of the Zoning Administrator in the application of the Zoning Ordinance; to authorize upon request in specific cases a variance from the Zoning Ordinance; to hear and decide applications for the interpretation of the zoning district map, where there is a question as to the location of a district boundary; and, to determine, in cases of uncertainty, of the district classification of any use not specifically named in the Zoning Ordinance, provided the use is in keeping with uses specifically permitted in the district in which the use is to be classified. 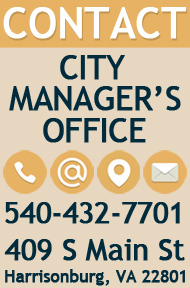 The responsibilities of the Board of Zoning Appeals are in the City Code Section 10-3-132 through 10-3-140. Individuals interested in deviating from the requirements of the Zoning Ordinance (not to include use changes) or interested in appealing a decision of the Zoning Administrator may request such action and apply to the Board of Zoning Appeals. Five years - two successive. The BZA meets as needed on the first Monday of the month at 4:00pm at the City Council Chambers (409 South Main Street).